Yorkshire in the north of England has a beautiful and varied landscape and great holiday accommodation. It draws many visitors every year to visit the Yorkshire Dales, the North York Moors, the Yorkshire Coast, and towns such Richmond and York. North Yorkshire, East Yorkshire, West Yorkshire and South Yorkshire offer breathtaking scenery from the glorious coastline to the tranquillity of the Yorkshire Dales, and the rugged beauty of the North York Moors. With three National Parks, three Areas of Outstanding Natural Beauty, the Pennines and a stunning coastline, there are plenty of outdoor activities available and landscapes to explore. Wildlife enthusiasts can explore the cliffs along the coastline, a haven for sealife including puffins, gannets and guillemots. 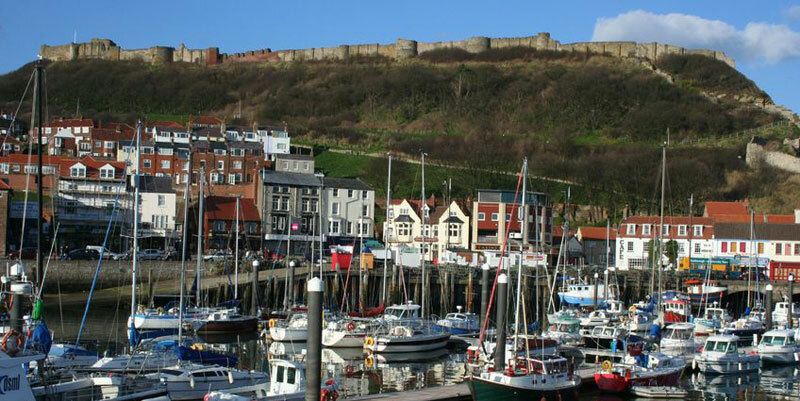 Also the coastal town of Whitby is a great place for whale watching. Yorkshire has a range of attractions from World Heritage Sites to serene gardens and unique breweries, theme parks and industrial heritage. As you would expect, Yorkshire offers a range of holiday accommodation for visitors, from 5 star luxury hotels, to high quality bed and breakfasts and guest houses, and also well equipped self-catering holiday cottages. If you are looking to experience the outdoors, you could try one of Yorkshire’s campsites or why not try Glamping!